Sessions' departure was the first in what could be a string of high-profile exits as Trump reshapes his team to gird for his own 2020 re-election effort. 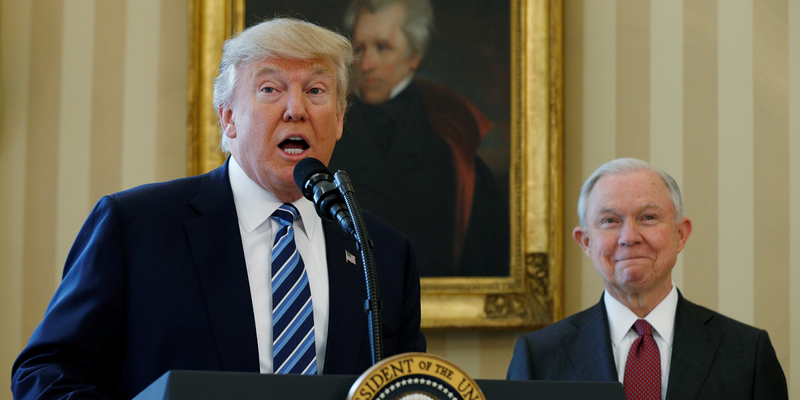 Washington: US President Donald Trump on Wednesday forced out attorney general Jeff Sessions a day after congressional elections and vowed to fight if the US House of Representatives’ new Democratic majority launches probes into his administration. The 71-year-old former US senator was informed on Wednesday morning by White House chief of staff John Kelly in a phone call that it was time to go, said an aide who spoke on condition of anonymity. Sessions’ departure was the first in what could be a string of high-profile exits as Trump reshapes his team to gird for his own 2020 re-election effort. The Republican president named Sessions’ chief of staff, Matthew Whitaker, as acting attorney general and said he would nominate someone for the job soon. Deputy attorney general Rod Rosenstein was visiting the White House on Wednesday afternoon for what was described by an administration official as a regularly scheduled meeting. Nancy Pelosi, the House Democratic leader who could be the next speaker, called Sessions’ ouster a “blatant attempt” to undermine the Russia probe and urged Whitaker to recuse himself from any involvement in a statement posted to Twitter. During a combative news conference in which he tangled with reporters, Trump trumpeted his role in Republican gains in Tuesday’s mid-term congressional elections, and warned of a “warlike posture” in Washington if Democrats investigated him. Democrats will now head House committees that can probe the president’s tax returns, which he has refused to turn over since he was a candidate, possible business conflicts of interest and any links between his 2016 campaign and Russia, a matter being investigated by US special counsel Robert Mueller. Mueller is overseen by Rosenstein, who reports to Sessions. 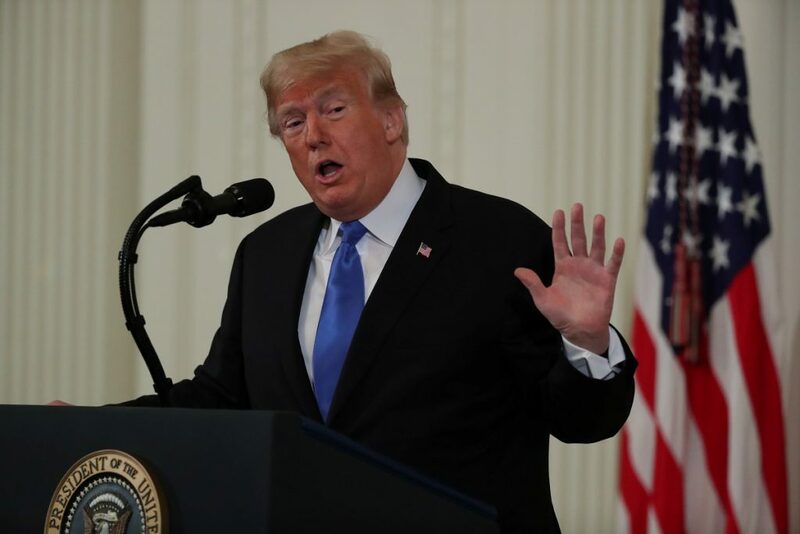 Trump was buoyed on Wednesday by victories that added to the Republican majority in the US Senate, telling reporters at the White House that the gains outweighed the Democrats’ takeover of the House. He added that he was willing to work with Democrats on key priorities but felt any House investigations of his administration would hurt prospects for bipartisanship. The divided power in Congress combined with Trump’s expansive view of executive power could herald even deeper political polarisation and legislative gridlock in Washington. He said Pelosi had expressed to him in a phone call a desire to work together. 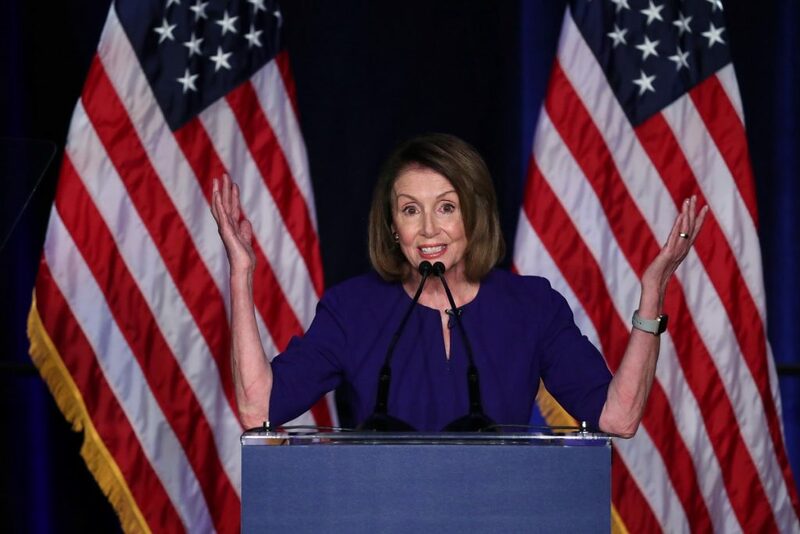 With Democrats mulling whether to stick with Pelosi, who was speaker when the party last controlled the House, or go in a new direction, Trump wrote in a tweet earlier that she deserves to be chosen for the position. US stocks jumped on Wednesday as investors, who often favour Washington gridlock because it preserves the status quo and reduces uncertainty, bought back into a market that had its worst month in seven years in October. The Dow Jones Industrial Average ended Wednesday up 2.13%, while the broad-based S&P 500 index rose 2.12%. The dollar index, a measure of the greenback against a basket of currencies, was slightly weaker. A Democrat-controlled House could hamper Trump’s attempts to further his pro-business agenda, fuelling uncertainty about his administration. His corporate tax cuts and the deregulation that have played a large hand in the US stock market’s rally since the 2016 election, however, are likely to remain untouched. Democrats will use their new majority to reverse what they see as a hands-off approach by Republicans toward Trump’s foreign policy and push for tougher dealings with Russia, Saudi Arabia and North Korea. Foreign policy has been an area that Trump has approached in a very personal way, sometimes antagonising allies such as Canada while making what critics see as unduly warm overtures to traditional US rivals or foes. Trump had hardened his rhetoric in recent weeks on issues that appealed to his conservative core supporters. He threw himself into the campaign, issuing warnings about a caravan of Latin American migrants headed through Mexico to the US border and condemnations of liberal American “mobs” he says oppose him. Every seat in the House was up for grabs on Tuesday and opinion polls had pointed to the Democratic gains. The party with the presidency often loses House seats in mid-term elections.